Lecture highlight: How to wire a color light sensor, from the course "Arduino Step by Step Getting Started"
I am a beginner with little experience of programming in the language C and circuitry. This is a great pace. Perfect for actual beginners. I knew nothing about electronics nor programming, now I feel confident with the basics concepts and I can do a basic sketch and wiring by myself. Really clear and easy to follow. Even though we are going to some complex and difficult topics. Excellent! We are living through a golden age of creativity and invention that is available to more people then every before. 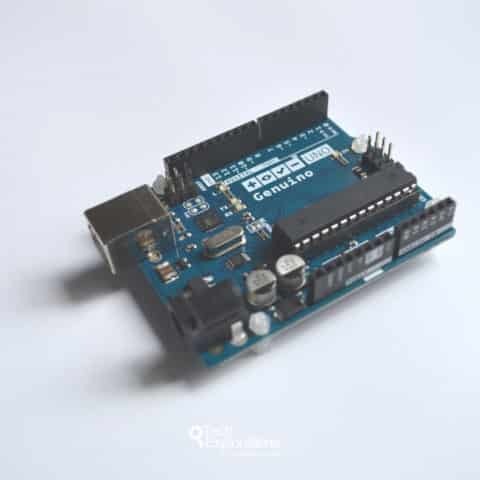 The availability of educational and creativity tools like the Arduino and the Raspberry Pi, combined with the ease by which information and knowledge is transmitted through the Internet, means that every one of us can be a Nicola Tesla, Thomas Edisson, or Alexander Bell. At Tech Explorations, we strive deliver high-quality learning experiences suitable for people that want to thrive in modern, technology-driven societies by thinking and working like an inventor. At the same time, we recognise that the learning needs of hobbyists are different to those of STEM teachers and students. This is why we offer custom learning experiences for each one. Our courses are designed to be detailed, comprehensive, and descriptive. Learn new skills that specifically apply to your projects. Tap on our Knowledge Base, Help Center and Facebook community for support when you need it. Are you working with the tools like the Arduino, the Raspberry Pi, KiCad, Design Spark Mechanical? Awesome, you can stop searching on Youtube and Google. We have some of the best content on the Internet right here, ready to dive in. Our Arduino curriculum for STEM students is a carefully-designed educational experience that encompasses the best principles of Maker Education, applied to an entirely online program. You will learn programming, electronics, iterative design, problem-solving, effective communication, and develop life skills like perseverance and a positive mindset by working your way through our Kids Learning space Arduino course. At every step of the way, our mentors and community will support you and ensure that you learn to mastery. We recognise that STEM teachers need specialised, fast-paced training, suitable for demanding classrooms, maker spaces, or other group learning environments. Our Arduino Bootcamp for teachers is designed to train any teacher so that they can be a confident and competent mentor to their students. Our Bootcamp instructor will work with you to design your customised training schedule and then help you achieve mastery of the curriculum. Then, take this knowledge and our curriculum and classroom resources and teach your students. All this in as little as a month. is struggling to provide the learning environment necessary to help raise the future innovators, problem solvers, and entrepreneurs that advanced societies need. While efforts to transform education in that direction are underway, they are too slow and not decisive enough, resulting in too many of our children being left behind. In this book, Peter Dalmaris argues that it does not have to be like that. If you are you a teacher, a parent or a learner, then this book is for you. 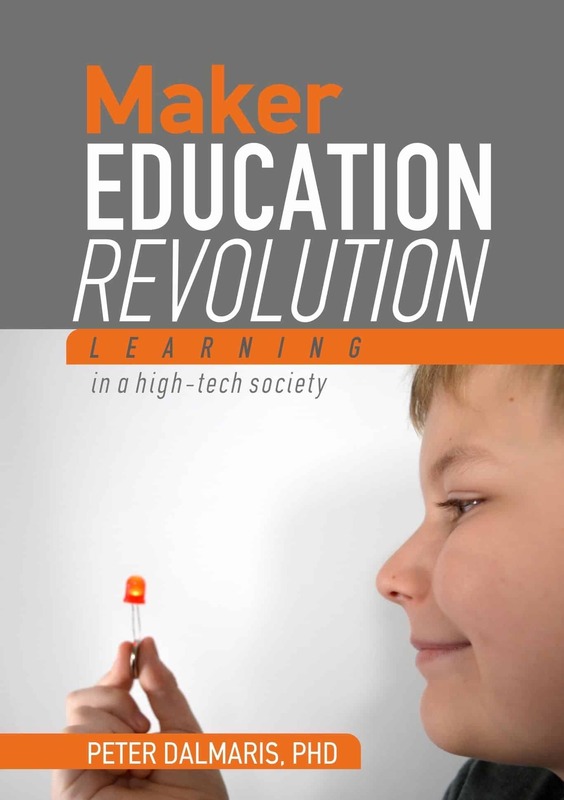 It will help you to understand and apply the power of Maker Education in your teaching and learning practice. is a model for education in the 21st Century. Dr Peter Dalmaris explains how teachers, parents and learners can apply the educational methods of inventors and innovators for the benefit of their students and children. With strong philosophical and scientific underpinnings, Maker Education provides a unique opportunity to complement, and even supplement, our failing conventional education. This book shows you how. Peter Dalmaris is an educator, engineer, electronics hobbyist with a diverse background. He has been an academic with 15 years of experiences and has been involved in education for over 30 years.